I found this on Facebook and just had to share (and yes, I know it’s “bated breath,” not “baited breath”). If you enjoy reading about Shakespeare, you may enjoy this post about he died a nobody and his works then got famous almost by accident or this list of Shakespearean insults! Wow! I never knew these phrases were attributed to Shakespeare. I was pretty surprised by some of these myself! 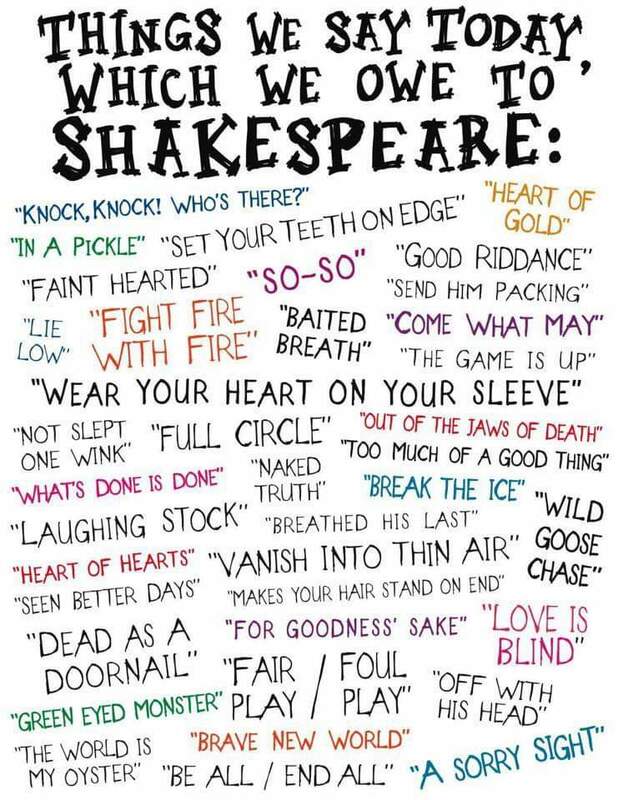 I’m a Shakespeare lover and didn’t know half of these. Thanks for sharing.